 We are transforming the way we provide customer service to employees and students at UC Davis. By bringing together key campus units that support the stewardship of data and finance, we can deliver the most optimized customer-driven experience for Finance & Business. Through this strategic web reorganization, we help the university become better every day. Offers policies, planning tools, and procedures to support the efficient and effective management of the university’s operating budget resources. Comprised of the Cashier’s Office, Student Accounting, and more that assists faculty, staff, and students in meeting their teaching, research & operational needs. Finance helps fulfill the institution's requirements for financial information and reporting, materials, supplies, equipment, and services. Provides accurate and meaningful data with the support of Business Intelligence. Offers insights on students, faculty, & more. Establishes and executes a comprehensive campus strategy and serves as a single point of contact for securing preferred business partners. Provides expertise in the strategic planning and implementation of real estate services in support of the university's mission.